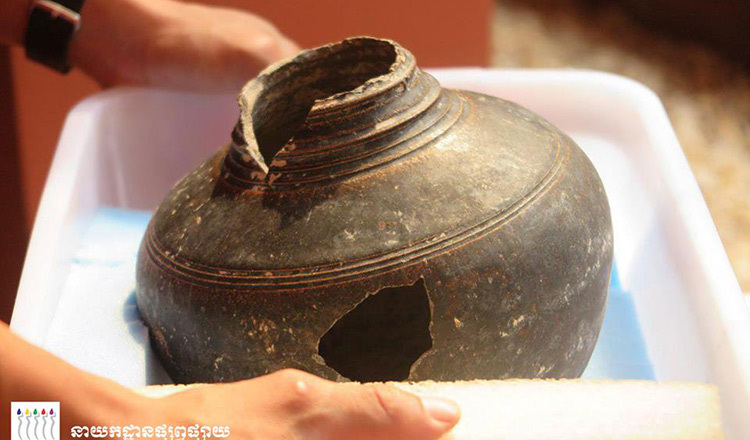 An ancient jar was brought to the Preah Norodom Sihanouk-Angkor Museum in Siem Reap province on Friday after a man discovered it in the ground last month. Beum Cheat, who made the discovery, said he was digging land to plant potatoes near his home last month when he found the jar buried about a metre deep. Mr Cheat said he was really happy to help protect ancient artefacts for the next generation. The ancient jar is brown and was made between the 11th and 13th centuries. 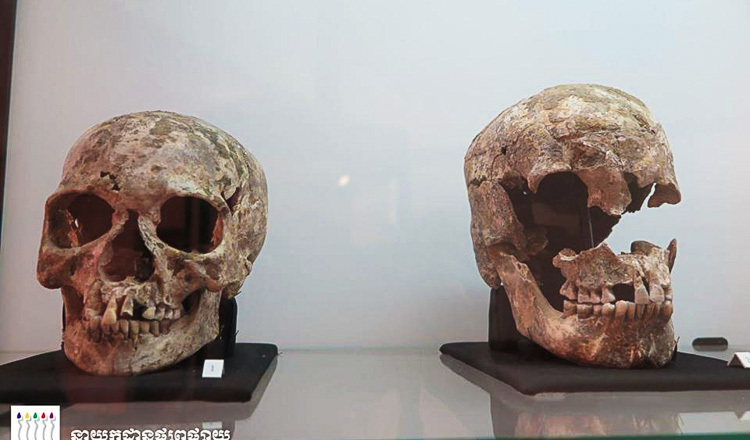 Chhom Kunthea, director of the museum, said in an Apsara Authority report that this was the fifth time a villager living in the Angkor area had brought an artefact they discovered to the museum. “It is very good that our people know and understand about the value of national heritage so these things can be studied by the next generation,” she said. 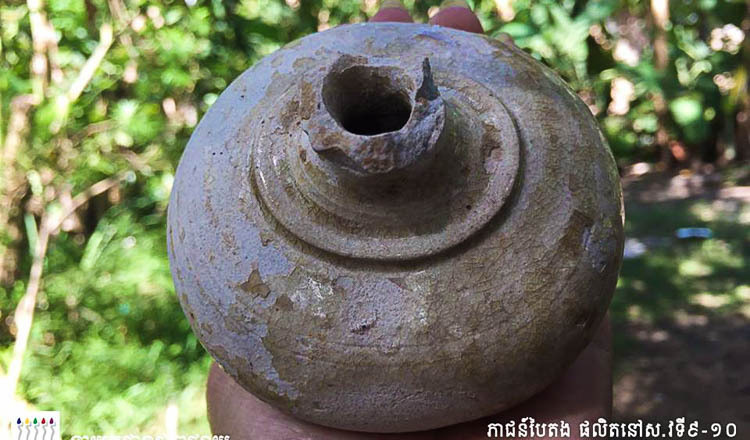 Late last month, some pieces of ancient pottery, which included a jar and some fragments, were delivered to the Apsara Authority after a villager found them while digging on his land last year. Officials from the Apsara Authority, the government body that manages the Angkor temple complex, have asked people to take care of any ancient artefacts they discover. 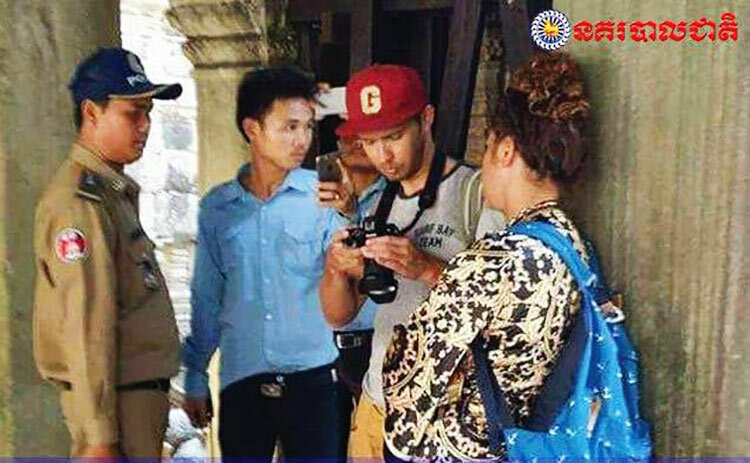 If they find anything, they should inform local authorities or Apsara officials so experts can use the objects for research and properly store and display them.